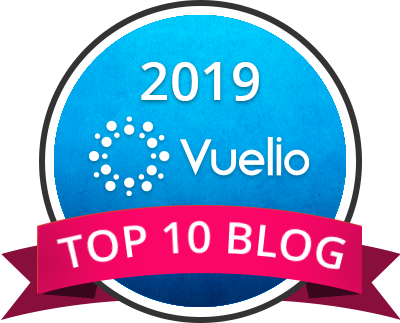 Just a couple weeks ago, I shared with you some basic tips to transition from commuter to competitor on your two wheels. 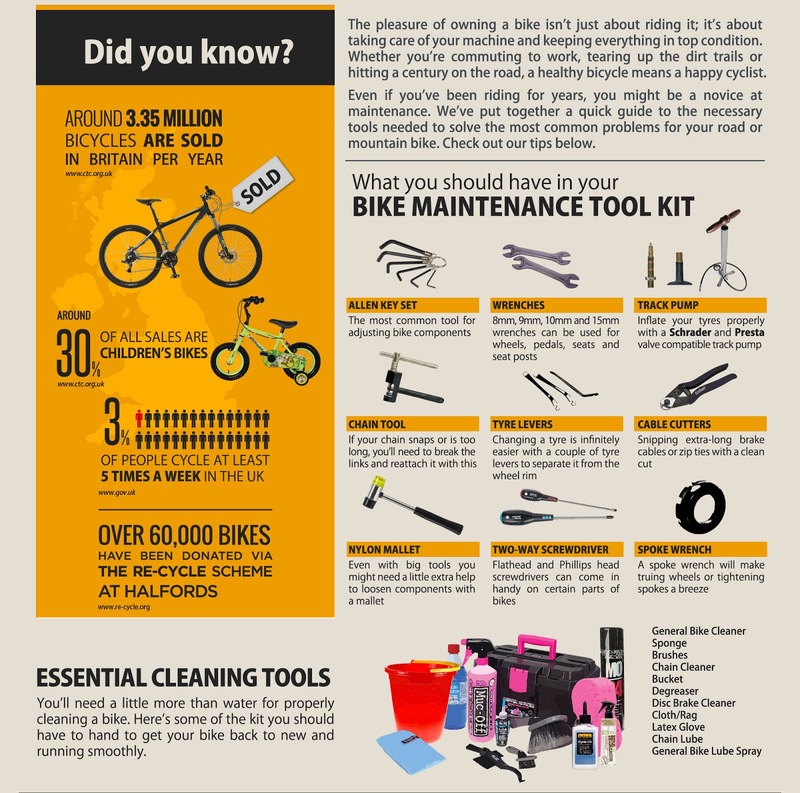 I wrote the post in conjunction with Ellie, through a question and answer, conversation and whilst chatting away about the various aspects of training it dawned on me that I was missing some of the basic knowledge and skills when it comes to bike maintenance. I mean, Ellie said something about cleaning your chain?! …Cue raised eyebrows and a blank expression (and that was not just from me!). 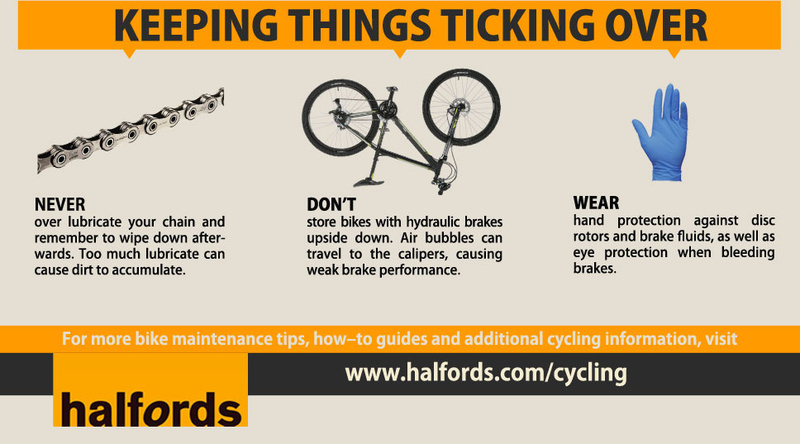 So when Halfords created this infographic (who doesn’t love an infographic), I had to have a read and then decided to share it with y’all! …with my annotations of course! Okay, so I own a couple of these tools and others I’ve never heard of in my life! A store assistant was once kind enough to give me a multi tool and that, along with some tyre levers have gotten me through! I did buy some special wipes for cleaning my bike though but unless I put my bike in the bath, it’s never gonna get a proper bath due to lack of space. Now, you’ve almost lost me at this point! But, these are pretty important things! 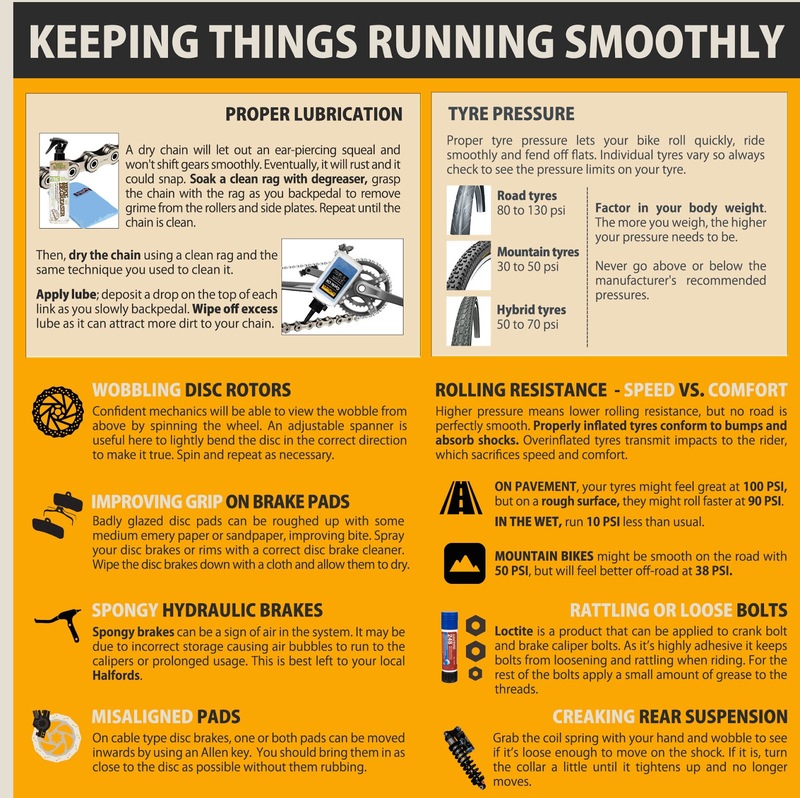 I’ve experienced the difference that tyre pressure makes! This one time, I actually thought something was wrong with me! I just did not have the strength to make my bike move at a decent speed! I most probably googled it and that resulted in me buying a track pump and blowing up my tyres. Cue, super speed! 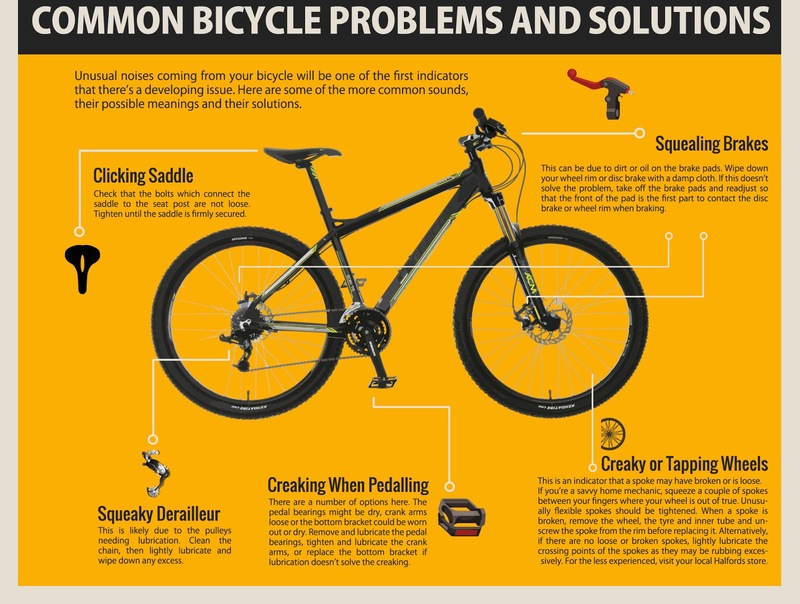 I’m not at the stage where I want to upgrade my bike yet. Maybe, ever! 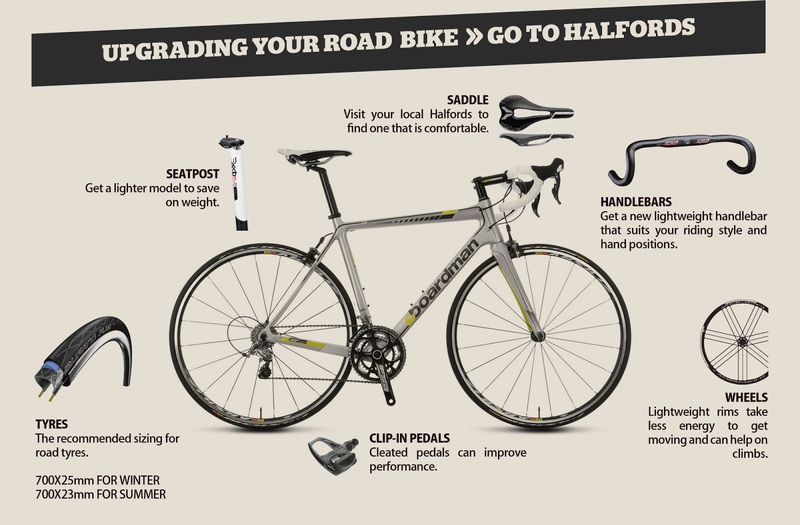 If there is one part I would consider upgrading though, it would be the saddle! Oh and I upgraded my pedals to double sided one’s (I take back what I just said; but it was actually because the bike didn’t come with pedals so I had to buy SOMETHING, and chose these) – one side for clip-ins and one side flat for the times I just wanna pop down the road, or not take another pair of shoes to change into. Please tell me I’m not alone here?! Do you own a bike?! How well do you look after it?! 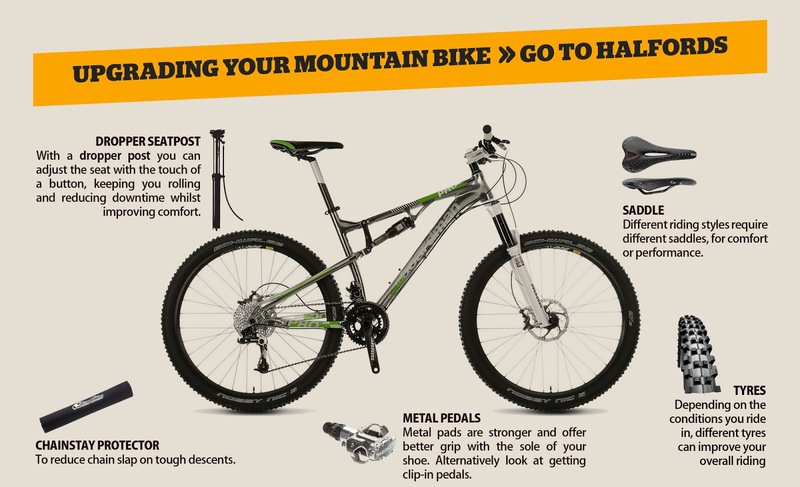 What’s the one thing you do when it coms to your bike, without fail?! Well….when I manage to get it out I always check my tires. That's how I feel right now – when I get it out! I just signed up for a cycle sportive in 2016 though so that'll be my motivation to get on my bike! This is pretty useful actually. I am so bad when it comes to bike maintenance. I haven't even put some oil on the chain since i've had my new bike and it's been more than a year! Really need to do it very soon.. I think I did that once! Hmmmm, I'm defo gonna dedicate a day to this, get to grips with it all and get it done!! I own a bike, and now that the weather is warming up, I'm using it a bit more instead of walking. I always check the tire pressure, because sometimes i could go weeks without riding and it goes flat.